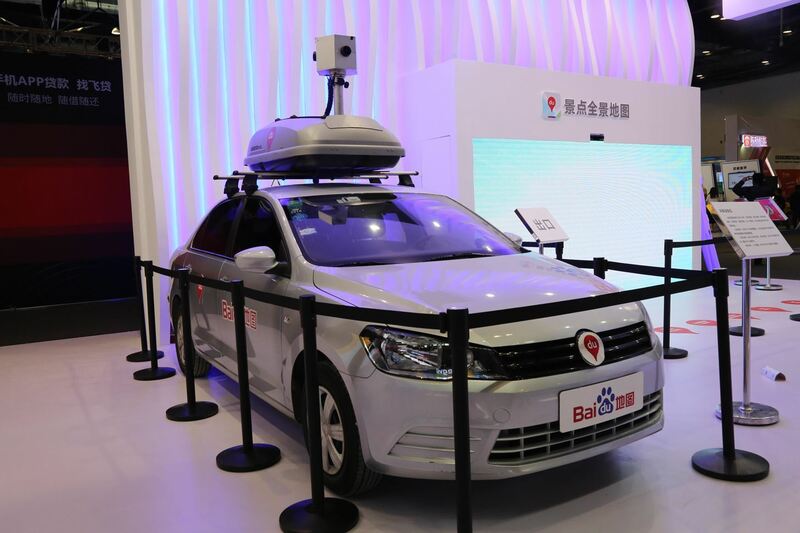 Baidu Inc, the "Chinese Google" search engine and technology company, which has been actively pursuing self-driving cars, reported that a gang of hackers recently attempted to steal its driverless car technology. The company, based in Beijing, has since beefed up its cybersecurity following the threat. According to Bloomberg, Ma Jie, Baidu's head of cybersecurity, does not know for certain who was behind the attack. "It's very difficult to know who employs them to do that, but we know someone tried to hire someone in the underground market to steal from us," Ma told Bloomberg's Tom Mackenzie. No clear indication yet of if the hack was successful or of what specific information the hackers were after. Baidu has talked about producing autonomous vehicles for a shared public transportation shuttle service by 2018. The company also plans to mass produce by 2021. In 2015, Baidu publicly tested its modified BMW 3-Series on an 18.6-mile route. The driverless vehicles performed tasks like U-turns, changing lanes, passing other cars, and merging on and off highways. Then in 2016, the company let around 200 members of the public take a ride in its electric, self-driving car in Wuzhen, China. Baidu's cybersecurity team is working continuously to prevent any threats against its systems and frequently tests out new methods to fight off cyberattacks. Now, since the threat, the company is also supporting Blue Lotus, which is a team of "white hat" student hackers at Tsinghua University. To which Ma stated, "If we can help students find the right way, that means less enemies in the future." They've also teamed up with its rivals—Chinese technology companies Tencent and Alibaba—which are also facing cybersecurity threats. Baidu believes the companies can come together to prevent more information from being stolen. The underground industry is getting bigger, and getting stronger so we must help each other against the whole underground industry. We're not enemies, they are the enemy.